Edit: I've did a restyle on this one, so I decided to reupload the post to get the right permalink. 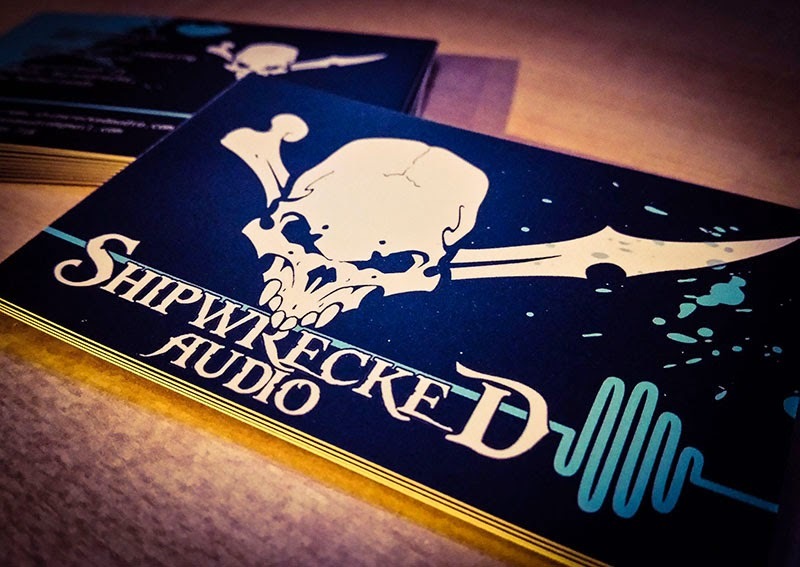 Infremo Audio Productions, is now called Shipwrecked Audio. A couple of weeks ago I got a message send by a classmate from the first year. He is starting up a new audio company, fixing the sounds for movie and video productions like the short film Pausa, and mastering music for band CD's & EP's. He asked me if I could do a business card design restyle. 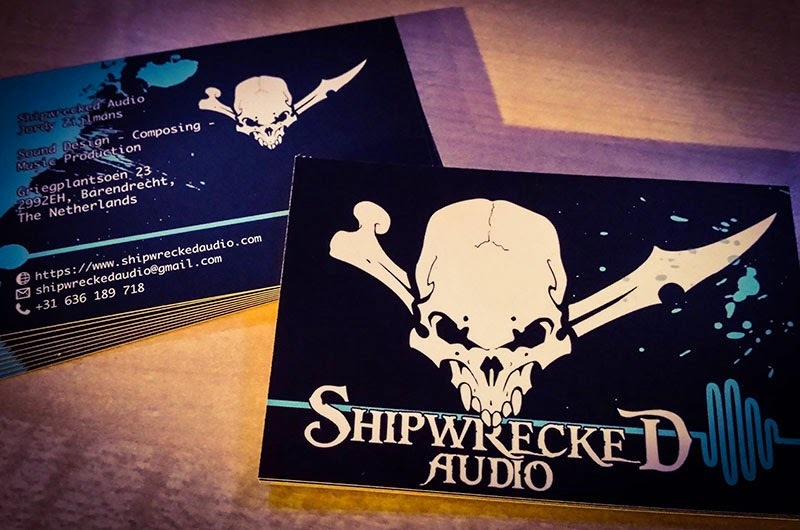 The old cards didn't show the link to the audio related work; it was only text mentioned. 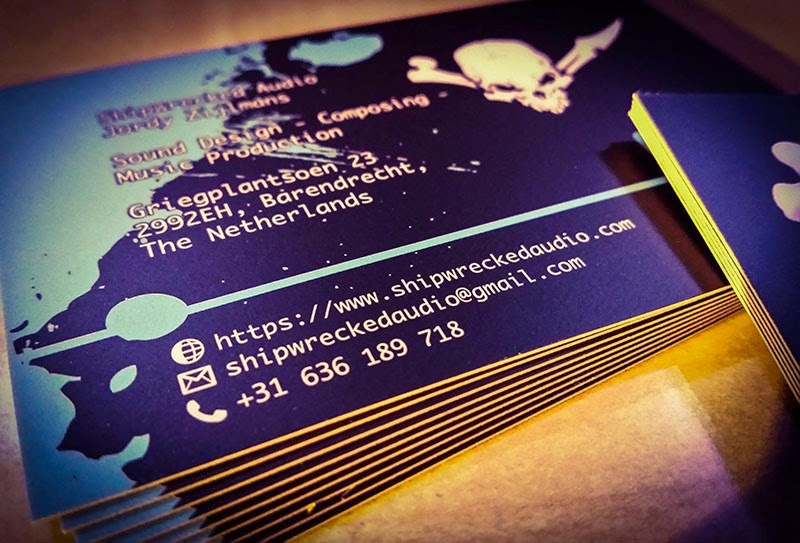 That's why I've added some color splats to the cards, together with the blue soundwave line, and a little logo tweak on the front side. Ordered at Drukwerkdeal, these came out well as we expected! Thanks Jorudo! Check their facebook page for updates, don't forget to like!